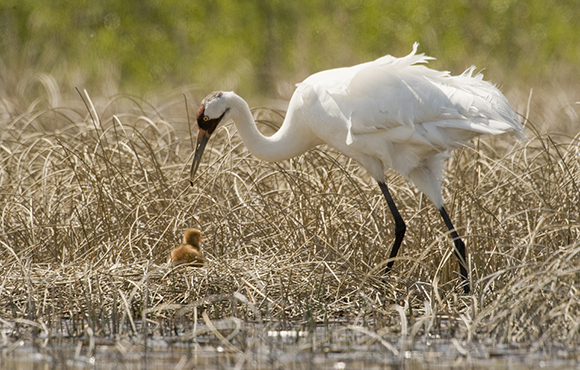 For the first time ever, Parks Canada is offering guided tours to the Whooping Crane nesting grounds in Wood Buffalo National Park in May, June, and August. Wood Buffalo National Park located in northeastern Alberta and the southern Northwest Territories and is the largest national park in Canada. Birders have been divided about the opportunity — while some have been so quick to take advantage of seeing the cranes that $3,820 Heli-Hike tour is sold out, others are concerned that the added traffic could disturb this endangered species. Whooping Cranes were close to extinction in the 1940s, and since then the population of cranes in Wood Buffalo National Park has grown to 310 birds and growing about four percent each a year. What are your thoughts on these tours by Parks Canada? Do you think that these tours will help the cranes by raising awareness of this endangered species, or do you think the added disturbance will upend all the time, money, and effort that has been put into saving this species. You can find more detailed information at the Parks Canada website here. 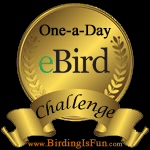 This entry was posted in Alberta Birds, Bird Conservation, Canada Birds, General Birding, Nature, Spring, Spring Migration and tagged Alberta Birds, Endangered Species, Parks Canada, Whooping Cranes, Wood Buffalo National Park. Bookmark the permalink. ← Great Canadian Birdathon Thank You!